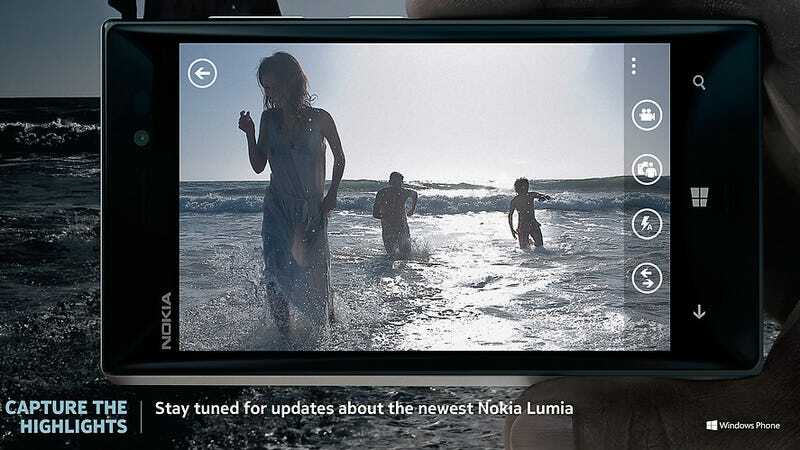 Rumors have swirled for weeks about Nokia's hotly anticipated new phone, the Lumia 928. Now Elop and co have finally released an official image to tease us. While it doesn't give too much away, it does at least confirm the naming, and the image does bear some similarity to previous leaks. It certainly appears to sport the aluminum case that has been rumored—a departure from the funky primary colors that currently define the Lumia range. A corresponding magazine advert announcing the handset's imminent arrival on Verizon also highlights the phone's photographic talent. In particular, it mentions PureView, optical image stabilization, and a Carl Zeiss lens.